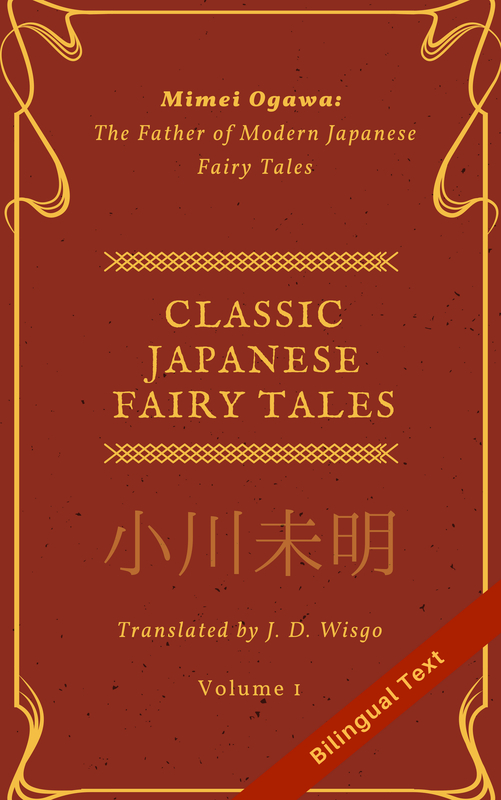 So far, the translations that I have posted on this blog have mostly focused on portions of books, short stories, or online novels. But when I came across the book “Turn your kids into billionaires by teaching them to code” (子供を億万長者にしたければ、プログラミングの基礎を教えなさい) by Kohji Matsubayashi（松林弘治), I decided I wanted to translate at least a small portion of this interesting book. It is not my intention to give a detailed review of this book in this post. However, the excerpt I am giving here (which covers up to page 13) is pretty self explanatory and will give you a good taste for what the book is about. This book is special to me because it covers three things which are important to me: software development (my day job), Japanese (a longtime hobby), and child upbringing (I have a young son). As with some of my translations, I want to make it clear that is a non-official translation, not endorsed by the author or the publisher in any way. While the original Japanese text was fairly straightforward and easy for me to understand, I had to put in a good amount of effort in order to have proper tone with natural phrasing. It looks like there is no official English translation of this book, but you can see the original Japanese book for sale here. If you would like to see more of this book in English, please feel free to like this post and/or comment. I have the contact information for the author, I can tell him if there is interest. I will not be including any of the original Japanese text, but you can see the forward excerpted on this webpage. President Obama sent a message to the children of the US. Why would he suggest such a thing? To give our children a brighter future? Certainly, of those who have succeeded in business, some have known how to program. In fact, the US and many other countries have started putting a focus on making programming part of their education system. Of course, Japan is already one of these. The reason for this emphasis, besides the economic advantages, is because learning to program is considered to have a positive effect on a child’s education. Is it really safe for parents to take a passive stance on their children’s education? However, perhaps you are a parent who has no experience with programming and doesn’t know where to start. If so, it may be difficult to give your children realistic advice on how to learn programming. But the fundamentals of programming are by no means difficult. This book will help you quickly grasp the fundamental concepts of programming, along with the current educational resources available, and learn together with your children. A child who discovers how fun programming can be will continue learning on their own and go on to do great things. Teaching children about computer programming is a topic which has been increasingly popular in recent years. In many forms of media we frequently see stories about IT entrepreneurs who were programming whizzes as children and later went on to become successful billionaires. There are even those who make an appeal to teach programming in Japan to our children in order to cultivate the next Bill Gates or Mark Zuckerberg. There have also been news reports that Japan may soon incorporate programming as part of its compulsory education program. In urban areas, programming classes targeting elementary, middle, and high school children are cropping up all over the place. Hands-on workshops for topics such as robotics and programming where parents can participate along with their children are extremely popular. And yet, why is there all this fuss about teaching programming to children who will not necessarily become programmers or computer engineers when they get older? In the 21st century, computers permeate nearly all aspects our daily lives, to the extent that we cannot even imagine a life without computers. This includes not just computer-like things such as smartphones and laptops; computers are actually being employed in many surprising places, embedded in non-computer-like things. Rice cookers, microwaves, refrigerators, air conditioners, and laundry machines. TVs, video recorders, and cameras. Robot vacuum cleaners, bath water heaters, digital scales, and body composition monitors. In our homes alone, the number is practically limitless–every day we are literally surrounded by computers. Even things like grocery store registers, bank ATMs, and online shopping cannot exist without computers. It is in such a world where the idea of making computers and programming a part of general education–just like reading, writing, and arithmetic–is becoming more and more predominant. The proponents of this are trying to push programming education from elementary school at the governmental level and give a thorough treatment of computer science in middle and high school. At the same time, the idea of using programming as a tool to foster creativity in children has also been gaining in popularity. Building a program and getting it to do exactly what you want is truly the epitome of a creative activity. Programming allows one to experience the joy of creating something which cannot be obtained by simply using computers. The type of programming where one enjoys the process of thinking things through and constructing a program on their own is by no means a technical exercise done for the purpose of becoming a programmer, but instead can be likened to an educational toy which expands the possibilities of a child. Recently, technology has been developed which allows children in the early grades of elementary school, or even younger, to experience programming. There is a surprising number of middle and high school students trying their coding skills against other kids, knocking out programs that can hold their own against an adult. What should parents who feel this way do? This question was the seed that lead to the creation of this book. What is programing anyway? How do computers work? How does programming relate to everyday life and work? What is the best way to start learning about programming? In this book, I have aimed to provide information from a variety of angles in order to fill in some of the blanks regarding the above questions, and tried my best to convey the essence of what programming is. There is no such thing as being too young or too old to learn how to program. My hope is that you can think and learn together with your children, and search out programming-like things hidden in everyday work, life, and play; learn to understand at least a little about the basics of computers; and give your children a tiny nudge to dive headfirst into the fun-filled world of programming. If reading this book helps you with any of these things, I couldn’t be happier. In my career so far I have worked as an engineer and OS developer in both enterprise and educational settings on projects such as system development/improvement and consulting, as well authoring and management of technical books. In a sense, one of my duties was to act as a mediator between engineers, users, and contractors, communicating information using easily-understood language, and facilitating communication between all parties. This book is not intended to be an introduction to programming or a technical book. I have not included even a single line of actual code. Even so, I’ve tried hard to give simple, easy-to-understand explanations so that you can get a taste for the what programming is like. Because of that, some experienced engineers and programmers may find the contents of this book lacking. Instead, I’ve included information about programming education from a diverse set of sources. I’ve paid particular attention to structuring each chapter so it is relatively independent from the others, and you can enjoy the book in any order you prefer. Feel free to peruse the table of contents, find a chapter you are interested in, and dive into the book from that point. I hope you and your children will join me on a journey through the exciting world of programming. Awesome! Would love to see more of this. At some point kids will start crying, breaking down and saying they don’t want to see another line from java or whatever programming language it is. Perhaps there will be some who are glad to have learnt it. Maybe make it easier for them to reach it and show that being able to code is great. It’s kind of scary I’m already imagining a future where human dependence on robots is normal. Perhaps it’s fine to leave it as it is. I don’t know if it could actually be good. Or bad. But this book you TL-ed so far is already something I’ve thought of, and asked my parents to send me to programming school. I wished I had tried to persuade them earlier but it seems like my mathematical skills isn’t as good as it should be for me to be in a programming course anyway. I’ll probably pick up a few on my own when I’m not working on my linguistic skills.